Sweetheart Table rental for your wedding or special event. Create an intimate yet stately look with these half round table rentals. 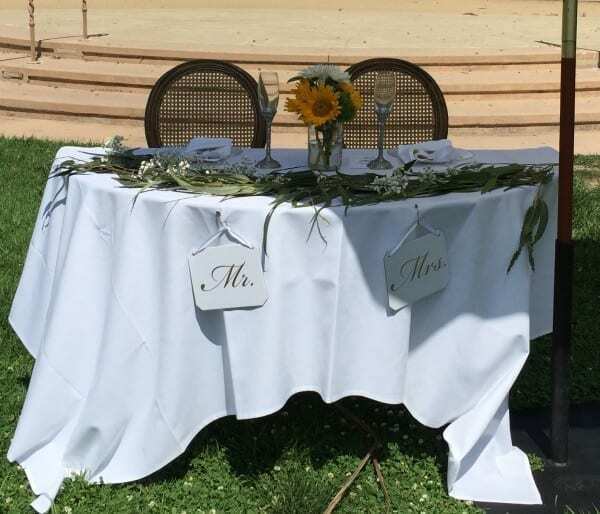 This table allows you to face you wedding guests while being the center of attention and focus, as you should be on your special day. For other events, these tables create a social atmosphere and a unique structural shaping to your event space. Check out other Wedding Design Ideas here. 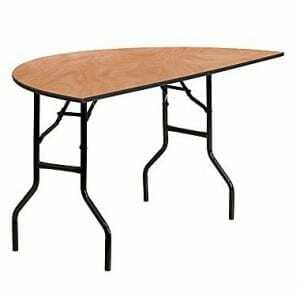 For more table options for your event please look at our Table Rentals here.